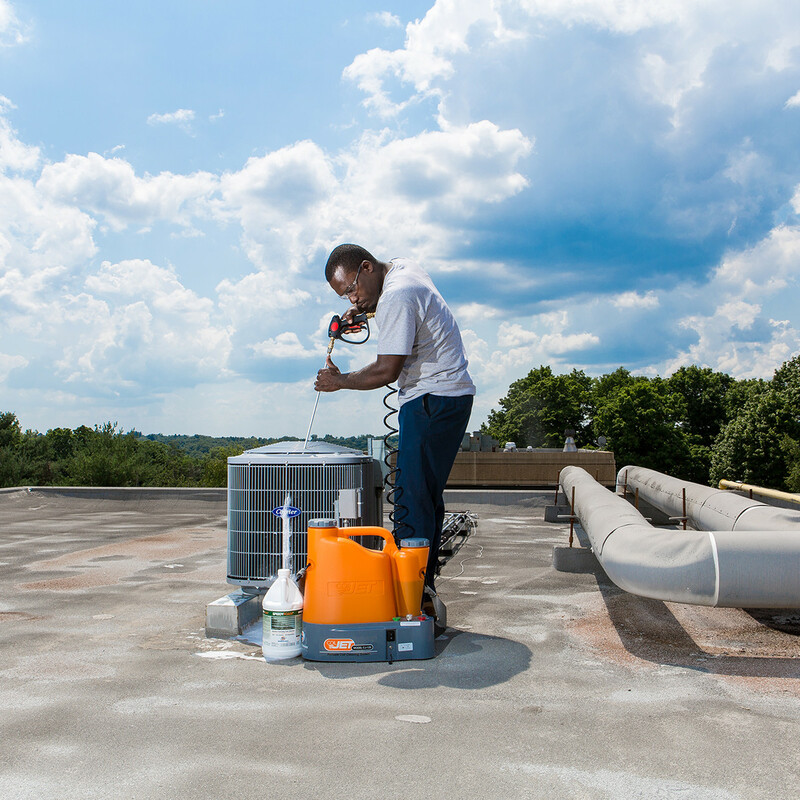 CoilJet is a portable HVAC coil cleaning system ideal for cleaning evaporator coils and condenser coil in locations where water and power may be inaccessible, such as rooftops and attics. CJ-125 is designed for portability by including separate water and chemical tanks and a long life rechargeable battery. Expertly clean condenser and evaporator coils no matter where the location may be. Clean HVAC condenser and evaporator coils where they are. Applies coil cleaner and then flush with fresh water. 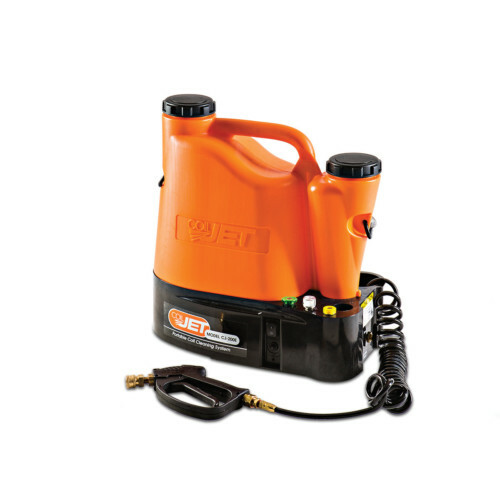 Carries all the water and coil cleaner you need to clean up to five, 5 Ton units using 125 psi pressure. Clean HVAC coils the fast way. 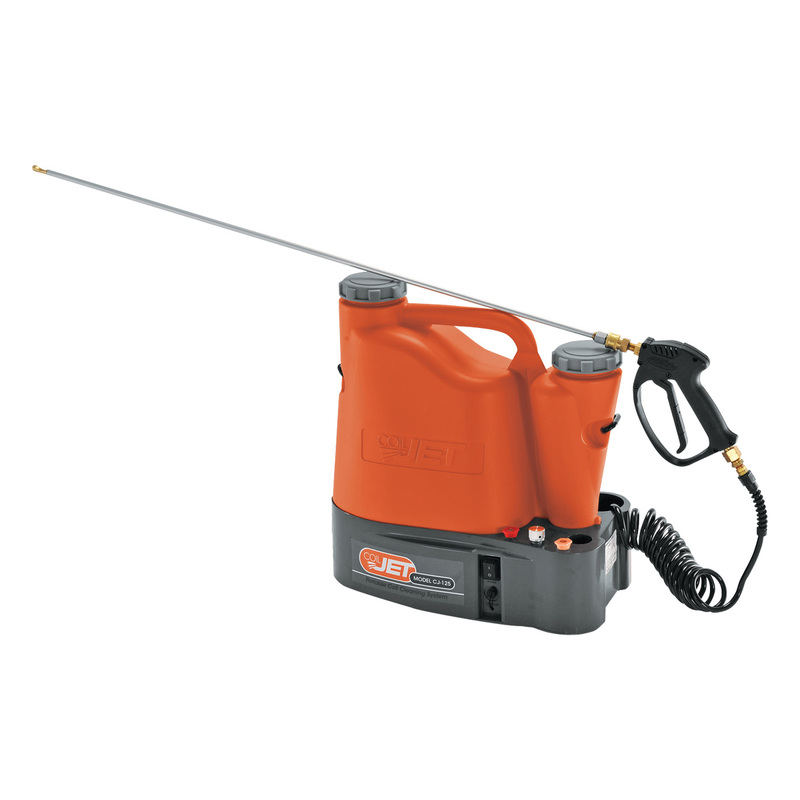 The CoilJet® from SpeedClean is a complete portable AC coil cleaning system. It carries all the water and coil cleaner you need to clean up to five, 5 Ton units with 125 psi pressure. 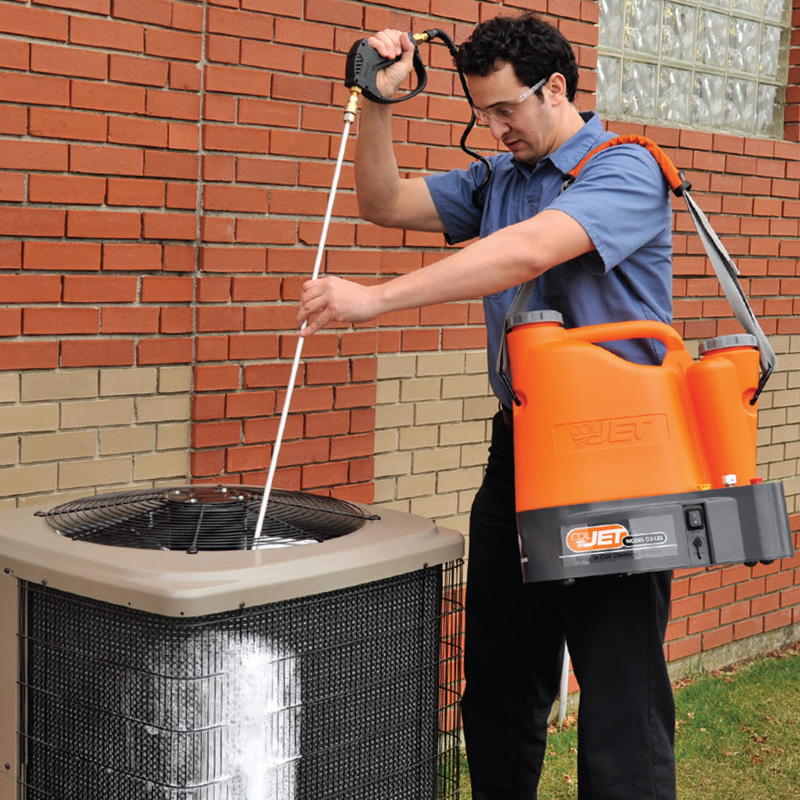 It is specifically designed for portable condenser HVAC coil cleaning. 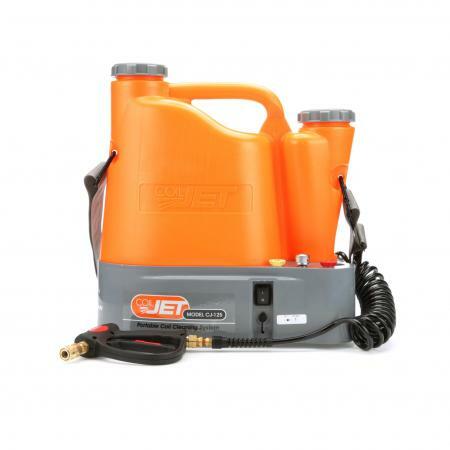 It replaces the too powerful pressure washer – and the not powerful enough pump sprayer – to quickly clean coils without damage to sensitive fins, even microchannel coils! 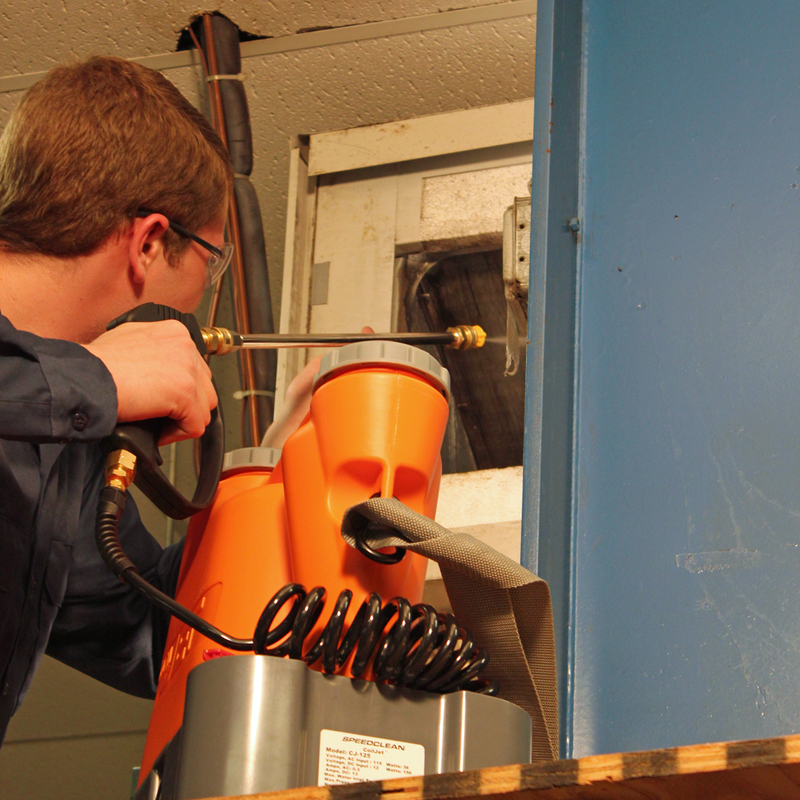 The system cleans virtually any single pass HVAC coil. It produces 125 psi of coil washing power at about .6 gallons per minute. A water flow and pressure that cleans quickly, but won’t overwhelm condensate lines on indoor units. This means you don’t have to pull evaporator coils out to clean the coils or use acidic and caustic “self-rinsing” sprays. Plus the integrated water and chemical tanks eliminate the need to drag hundreds of feet of hose to clean rooftop or remote units. The rechargeable battery supply lasts up to 12 tanks on one charge and optional accessory wands allow for cleaning the evaporator and condenser coils from the back of units without removal of the top grate and fan blade. 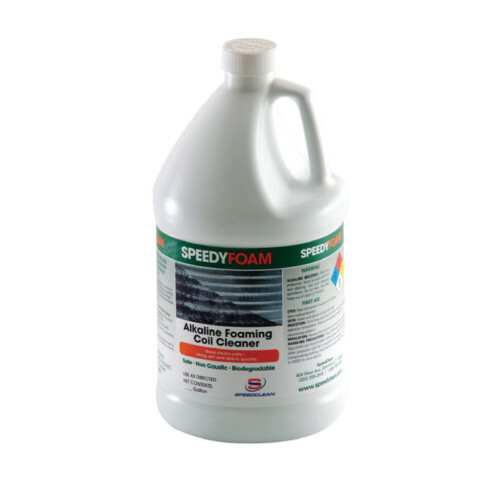 For best results add water and SpeedyFoam®, an alkaline, acid free, non-caustic biodegradable foaming coil cleaner that delivers penetrating foaming action. By combining industrial strength technology with a compact, durable design, CoilJet makes cleaning condenser and evaporator coils quick and easy. Small, portable design makes it easy to clean HVAC coils in hard to reach areas such as PTAC’s, rooftops, evaporators, refrigeration units and attics, where access to power and water is limited. Optional 8945 36″ Spray Wand with 90° nozzle lets you clean coils from the inside out, forcing dirt and debris back in the direction it entered. Perfect for microchannel coils. How heavy is the CoilJet? The CoilJet weighs 15lbs dry, and approximately 40 lbs when fully loaded with water and cleaning solution. As always, caution should be used when lifting heavy objects. Two part answer. A full charge will last for approximately 12 tank loads of coil cleaning, so typically all day depending on your usage. As for the life of the battery, it is designed to last for at least 300 full charging cycles – from completely charged to fully drained. Will the CJ-125 damage my coils? No! The CoilJet is the ONLY washer specifically designed for thoroughly cleaning the delicate fins without damaging them. It does this by forming a unique spray pattern that never surpasses 100 PSI. Depending on the gauge of the fins and the angle of the spray, coil damage can begin occurring at only 125 PSI! 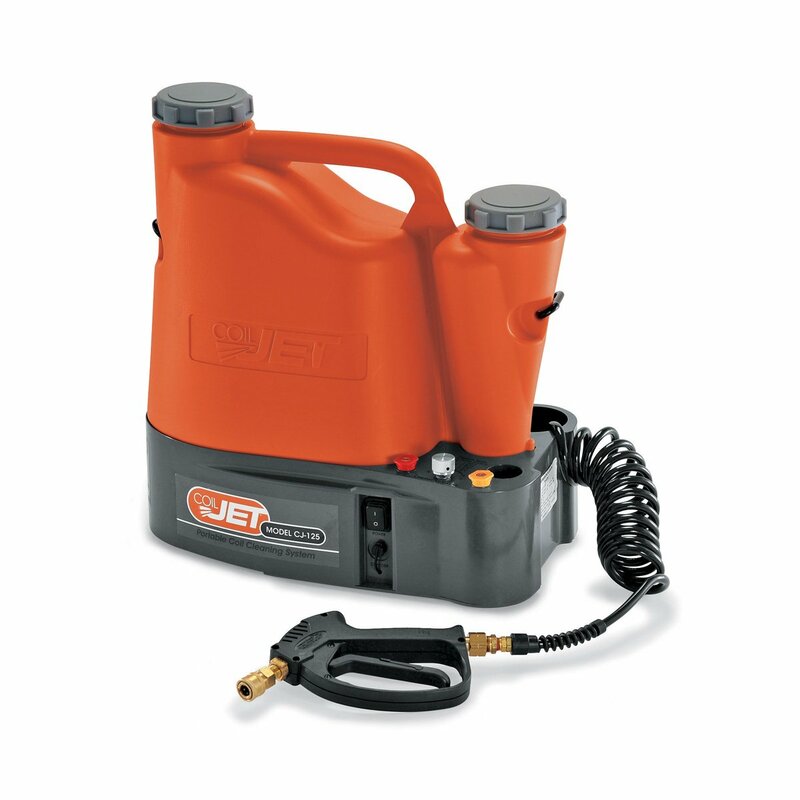 Why is the CJ-125 superior to a pressure washer? The only way a pressure washer can be used to clean coils without damaging the delicate fins is to hold the spray wand well away from the coils. Spraying a 1000 PSI washer approximately 4 – 5 feet away from the coil surface to avoid damage means only about 100 – 150 PSI. Why bother lugging up a heavy pressure washer and running long lengths of water hose and extension cords for that? Why is the CJ-125 superior to a pump sprayer? A pump sprayer is designed to simply apply a chemical. They typically produce only about 30 PSI at about .2 GPM therefore it is not capable of flushing out coils or washing away debris like the CoilJet can. If you have to use harsh chemicals and/or acids to clean coils, the pump sprayer is the right choice. Why is the CJ-125 designed for low flow? We know that many of your coil cleaning applications are directly above drip pans that rely on a ¾ ” drain line to route away condensation. The .5 GPM of the CoilJet will easily flow down that drain without overflowing the drain pan and causing water damage. A pressure washer can’t do that! How many condenser coils can it clean on one tank? This largely depends on the size of the units and how fouled they are. However it is typical for the CoilJet to be capable of cleaning 2 or 3 five ton units that require routine cleaning. What is the best type of coil cleaner to use with the CJ-125? SpeedyFoam with ultra-foaming action from SpeedClean is recommended. It has superior foaming ability and is proven to be safe and effective. As an alternative, any non-caustic or non-corrosive foaming coil cleaner can be used. If you happen to use a caustic coil cleaner, make sure to flush the system at the end of use to reduce damage to the unit caused by caustic cleaners. 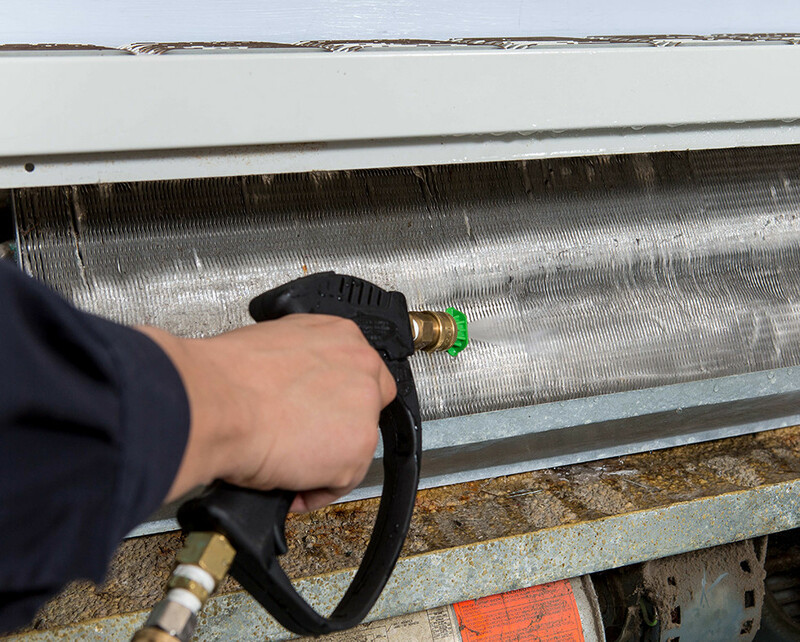 How will the CoilJet save HVAC technicians money? Time! There are tremendous labor savings resulting from not having to hook up to water supplies, drag hose, run extension cords, remove condenser exhaust grates, remove evaporator housings, etc. It is entirely possible to clean 3 medium size condensers located on a rooftop in only 10 minutes! How will the CJ-125 save my customers money? Increased energy efficiency! Over time grass, dirt, biological growth and other debris build up on the face of the coils. This accumulation reduces the surface area of the coils, dropping air flow and causing the compressor to work harder. The less heat exchanged to the outside air causes greater temperatures inside the condensing unit and the refrigerant which results in reduced performance. Can I clean any types of coils with the CJ-125? It is effective on many different types of coils including condenser and evaporator coils found in heat pumps, air conditioners, fan coils, PTAC’s, etc. Generally speaking it is intended for cleaning residential and light commercial size units. What is the most important accessory to get with my CJ-125? The unit comes complete with everything you need to get started. However the most helpful accessory not included is the 90 degree spray wand. 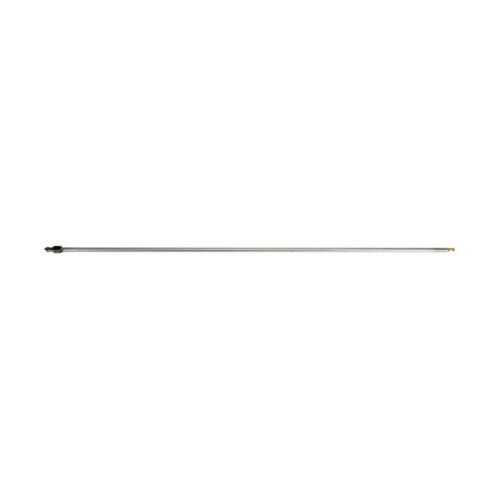 We call it the “Wonder Wand” because it fits into amazingly tight spots with its narrow ¼” diameter. Various lengths of this wand are available from 2’ up to 5’ depending on the user’s preference. 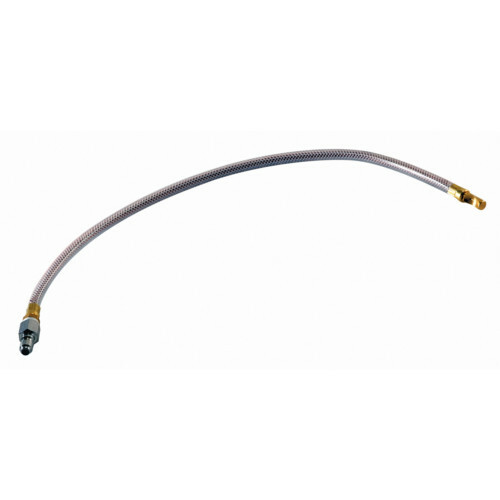 We recommend the 3’ Wonder Wand because it is able to reach all the way down most condensers. Are there other accessories available? There are many including spare batteries and chargers, various nozzles, wands, and foaming cleaners. Can I use the CJ-125 while the charger cord is plugged in? Yes you can, however the charger cannot keep up with non-stop operation so the battery will eventually wear down. Therefore plugging in the charger this way will only serve to lengthen operation time, not provide unlimited usage. What CoilJet battery should I use for my CoilJet model? Can I clean my A coil in the AHU without having to remove the coil? Depending on the design of the unit, most can be cleaned without having to remove the A coil. The CJ-125 has .5 gallons per minute flow rate, so any water/chemical can easily be handled by the condensate pan and line. The trick however will be to make sure no water/chemical drips into the air handler unit. We’ve seen this accomplished by angling a tarp or a piece of plastic under the coils to capture any liquid that may come through the coil and direct it back to the condensate pan.